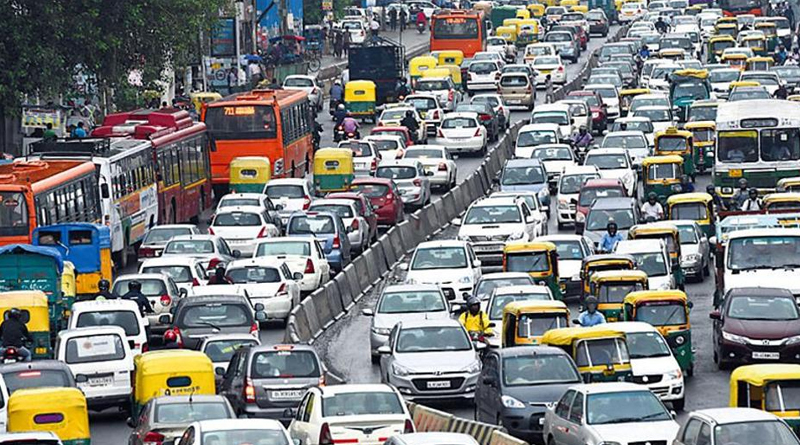 Traffic congestion and pollution in major Indian cities have become unbearable. The two are connected. When road jams occur, and a journey takes an hour instead of half-an-hour, the amount of fuel used — and the associated pollution — goes up considerably. Every year when Delhi’s pollution becomes terrible, there is much moaning and groaning and the blame is put on farmers burning crops in neighbouring states, or excessive dust from construction sites. Yet, one of the biggest contributors to pollution is the huge rise in traffic from cities ringing Delhi — Gurugram, Faridabad, Ghaziabad, Noida (New Okhla Industrial Development Authority) and many others. This should surely be checked by levying a congestion tax on vehicles entering congested parts of Delhi. Reduced vehicle entry will also mean reduced clogging of Delhi roads by parked cars that often pay no parking fees. Free parking should be abolished and stiff parking fees imposed. New York City has just decided, after much vacillation, to become the first US city to levy a congestion tax. Americans are so much in love with cars that it is politically very difficult to impose curbs on them. Yet, New York has bitten the bullet. Other cities worldwide have long imposed congestion levies — London, Singapore, Stockholm and Milan. Indian cities, especially Delhi, should follow suit. In rich countries, cars are used by relatively poor people to commute long-distance to large cities. These people call a congestion levy unfair, benefiting rich people in city centres while penalising poorer commuters from afar. There is some force in this argument, but the fact remains that the commuters are increasing congestion and pollution even if they are poorer. The Polluter Pays principle must apply to them. Heavy pollution means that millions in Delhi suffer from serious respiratory ailments and even die. Commuters do not have a right to maim or kill. Some economists object that a congestion levy on vehicles entering Delhi from neighbouring states will be a form of protectionism. I disagree. Protecting the environment is eminently worthwhile. Such protection will impose costs on polluters, and raise the price at which they supply goods or services. But the price effect will be slight, and Delhi residents will happily bear the slight increase in prices in return for less lethal air and faster travel time. To soften the blow to commuters, the imposition of a congestion tax should be linked to the financing of an expanding metro train network, which is the fastest form of travel within a city. London has done exactly this, using congestion taxes to expand its underground (metro train) network. New York state governor Andrew Cuomo also proposes to use congestion taxes to improve the city’s metro network — ‘subway’ in New York — which is old and decaying, and in urgent need of renovation and modernisation. Legislators in the state have long resisted such a levy, and have finally agreed only because congestion taxes will be used for expanding the metro. Indian cities, too, need to introduce a congestion charge linked to the expansion of their metro networks into neighbouring regions. This then has elements of a win-win outcome. Commuters will pay more if they insist on commuting by car. But an expanded metro will enable many of them to shift to a non-polluting way of commuting. This should hopefully induce a massive shift from congested roads to new metro lines. The time taken for commuting will also shorten dramatically, benefiting commuters while sparing the city from deadly auto emissions. Challenges will arise in defining the exact areas to be covered by the tax and the means to collect it. The aim must be to reduce congestion in the worst-hit areas, keeping open the possibility of no tax in congestionfree areas (at least until these get congested!). Exemptions may have to be considered for electric vehicles, and some would exempt two-wheelers too, even though these pollute. Long queues at tolling points will increase pollution and travel time, and need to be cut to the minimum. One way is through smart cards with a prepaid wallet that can automatically open gates. In theory, sensors could be attached to cars and entry gates for automatic sensing and tolling, deducting the money from the bank account of the vehicle owners. That seems too hi-tech today, but may be feasible in the long run. The first task is to agree on the desirability of congestion taxes linked to metro expansion. Once the principle is accepted, filling in the details will be a minor task. Different cities should experiment with different system details to help demonstrate what works best.